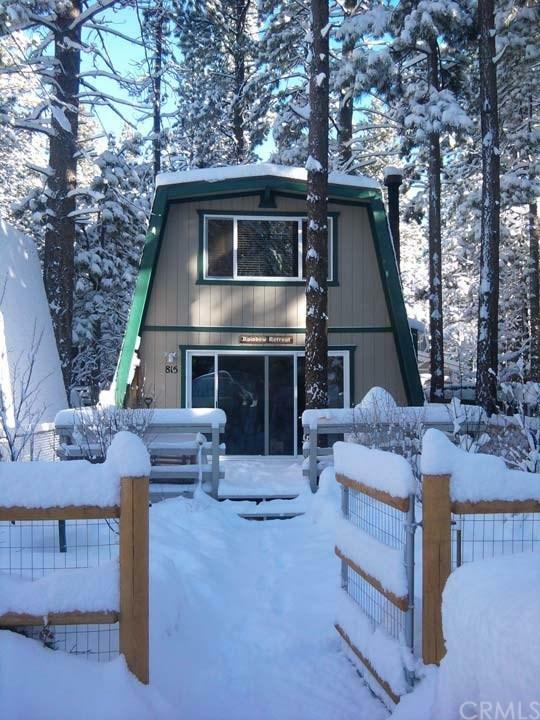 Fantastic Gambrel cabin in the center of Big Bear City. 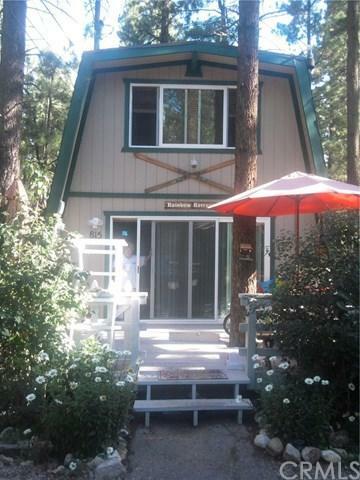 Featuring two large bedrooms, the cabin has had extensive upgrades including rich hardwood flooring in the living room. Porcelain slate tile in the kitchen, bathroom and laundry area. Porcelain slate tile bathtub and shower combo with glass tile ceiling and added exhaust fans in bathroom and kitchen. Rich berber carpet on stairs and bedrooms. All new dual pane vinyl clad windows, slider and new fiberglass rear windowed door. The Gambrel cabin features extensive built-ins in the living room, hall and kitchen. Included in the sale is a built-in flat panel TV. The master suite features double wood slider wardrobe. The lot is fenced with metal chain-link fencing and the front features a yard with fruit trees and your own planted Christmas tree! Room for parking directly in front and a custom built, matching mini-gambrel storage shed in the rear offers plenty of storage. The custom stone fireplace features a Great Wall of Fire steel fireplace grate and backing plate which radiates heat throughout the lower level. Gas burning wall furnace complements the fireplace. The kitchen has plenty of cabinets and a newer stove. 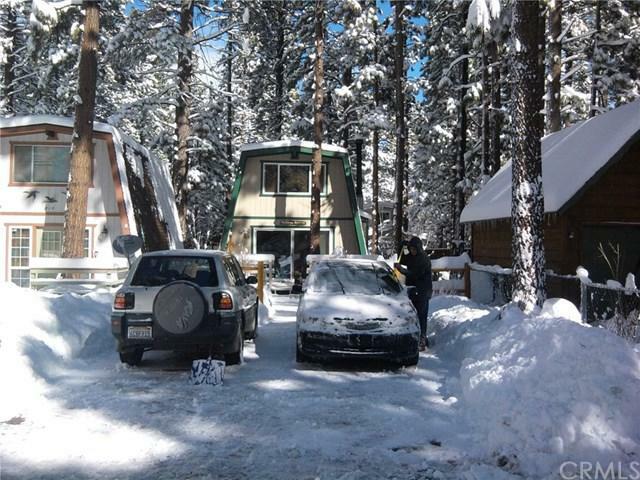 The cabin is just 3 miles from Bear Mtn or Snow Summit and down the street from the Snow Play tubing, making this location ideal for vacation rentals. 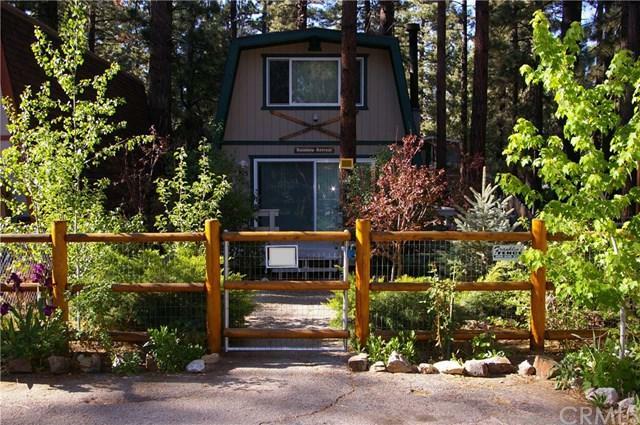 Bring your investors or buyers interested in making this charming Gambrel cabin their own! Inclusions Flat Panel Tv in Living Room Refrigerator Washer And Dryer.